Celeste has been cursed since her sixteenth birthday–just not in the way the rest of the kingdom thinks. All they see is her breath-taking beauty, marred by her foolishness. Only she knows that she retains her brilliant mind. And it’s a secret she must keep at all costs. Over the years she’s grown accustomed to the necessary deception. After all, her life depends on it. And she’s even found a way to protect her kingdom, working from the shadows. But now a dangerous new threat has emerged, one that Celeste can’t defeat alone. She needs the help of a newly-arrived prince. One who’s altogether too handsome and too charming. 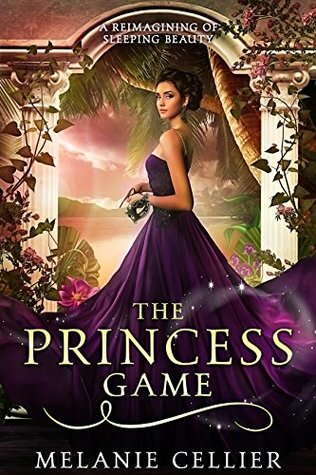 Somehow she needs to keep her secret, save her kingdom and find a way to free herself from the curse. The last thing she has time to do is sleep. In this reimagining of the classic fairy tale, Sleeping Beauty, it’s only the princess’ mind that is asleep. And sometimes appearances can be deceiving. Oh my goodness. This book was absolutely fantastic. While various parts of the original Sleeping Beauty were kept alive, the curse, the gift of fairy godmothers, this was a completely different and wonderful tale. The duality of Celeste was expertly done, and will remind most of how others perceive them versus how they are inside. William was phenomenal, and as perceptive as I thought he would be. All of the characters had great depth and I quite enjoyed the story altogether. The Four Kingdoms and Beyond the Four Kingdoms are some stories I believe anyone who is a fairy tale buff/aficionado would love, and they’re included on Amazon Unlimited. Melanie Cellier grew up on a staple diet of books, books and more books. And although she got older she never stopped loving children’s and young adult novels. She always wanted to write one herself but it took three careers and three different continents before she actually managed it. She now feels incredibly fortunate to spend her time writing from her home in Canberra, Australia where they don’t have a beach but they do have kangaroos hopping down the streets. Her staple diet hasn’t changed much, although she’s added choc mint Rooibos tea and Chicken Crimpies to the list. 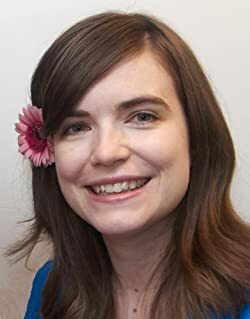 She is currently working on The Four Kingdoms, a series of young adult fairy tale retellings. Visit Melanie at her website: http://www.melaniecellier.com or follow her on Facebook: https://www.facebook.com/Melanie-Cellier-689002674569364/ for all the latest news on The Princess Companion and other upcoming Four Kingdoms stories.